Recently many of my Wikis post have been focusing on Web 2.0 and software of the such. Recently I thought it would be great to find Wikis related to different content areas so that teachers in my building and in your buildings could find something that fits their needs for the content they are teaching. I came across the Classrooms For the Future Wikis. They have a Wiki for every Core Subejct plus Tech Ed and Foreign Language. There is also a Wiki for Students if you have students who want to get involved with collaborating with other students. The Social Studies Wiki is broken down by ways to get connected and then by topics routinely covered in Social Studies classrooms. These page provides links to several resources based on the topic of choice. There is also a new section of Lesson Plans and Activities. Share your own and get it started. If you are a Social Studies teacher, see what you can use, and then see what you can add. The English Wiki has a lot of the same pages and links, but they are of course for English based teachers. So find the topic that interest you and use or add to it. The Math Wiki is a great resource by providing links to videos, lessons, and resources broken down by math topics. See what you can use, and see what you can add. The Science Wiki offers quite a few resources and links dedicated to the Science content. See what you can use, and see what you can add. The Foreign Language Wiki offers resources for Spanish, French, German, and Latin. You also have the opportunity to add a language of your own if it is not listed. 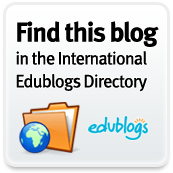 There are plenty of links and resources for your use. Remember, see what you can use, and see what you can add. 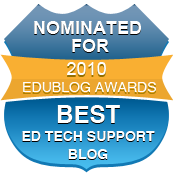 The final Wiki is the Technology Education Wiki. There is not much to this one yet, but I think with time, we will see it blossom. See the links on the main page and see what you can add. The Student Wiki is a place for students to find an area to collaborate and share the happenings in their school. It also offers links to resources for students. Remember, the success of a Wiki is only determined by its visitors and contributors, so help make these successful for others. This is a great find! Thank you for sharing these with us. I will share mine. I have created a wiki for the teachers in my school that has pages for each subject plus a character education resource page, general resource and weekly screencasts. All excellent resources and a great reminder that Wiki's need all of us, working together, to make these the rich resources they are.